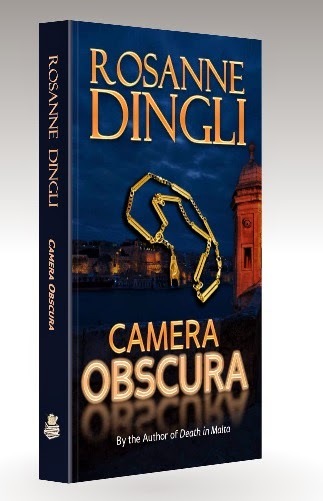 ROSANNE DINGLI has authored four novels, six story collections, two novellas, and a poetry book. 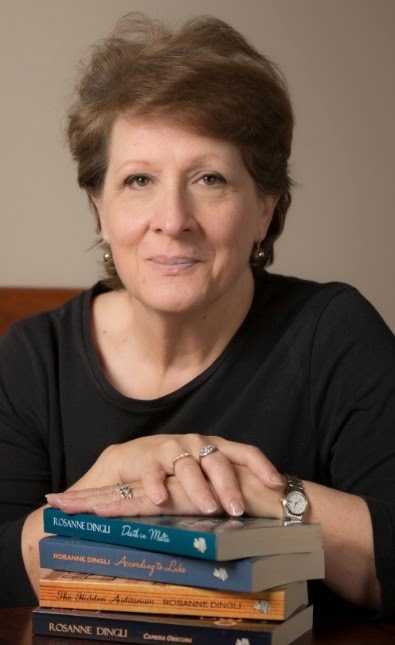 Active in publishing since 1985, she has lectured in Creative Writing and English, and has held roles such as Editor-in-Chief, Columnist, and Literary Editor. This author has published with academic, commercial, traditional, and local government presses, and is a popular workshop facilitator. Her fifth novel is due for release in 2015. She lives and writes in Western Australia. Minnie looked him straight in the eye in the same way she had when she explained she had no idea who the man on the phone was who addressed her as ‘darling’. Bart had insisted the caller knew it would be her on the other end of the line. Stay where I can find you, he had said, or something to that effect. ‘What do they call you? Her eyes widened. Then she turned away and giggled. ‘Minnie. Just plain Minnie.’ She laughed again, poked him playfully in the chest and started talking about something else. Deflected once more, resigned to not knowing, Bart shrugged. Scarf, Cuff – what did it matter in the end? Her phone pinged. Minnie looked at Bart rather than dig it out of her bag. ‘Your phone,’ he said pointedly, and remembered similar words Erin had said the night everything shifted. She looked at a message on the screen and bit her lip. Her eyes met his, and he saw her trying to decide what to say. He was annoyed at himself. He always ascribed too much meaning to slips of the tongue and minor errors. Perhaps he was too used to working with journalists. In Minnie’s case, it was impossible to match any of her details with anything solid, so why even try? ‘Hand me that cosmetic bag, will you?’ She called from the minuscule bathroom. Her untidiness was endearing, like nothing he was used to, like all of her. Her back was turned and he could see her regular features reflected in the lit up mirror: the dimple in her cheek, the mole close to her jaw line. The green of her dress gave her skin a dull glow. She looked Pre-Raphaelite, wild and gorgeous. Bart searched underneath a pair of sandals, toe to heel, unusually neatly pushed into a corner of the suitcase. He felt cotton, satin, and wool with his fingers, but saw no cosmetic case. Sliding his hand beneath a folded pair of jeans, his fingers encountered a tight cylinder, solid to the feel, its rigid presence surprising him. But the cosmetic case was there, under a fold of denim, so he picked it up by its zipper tag. ‘Here you are. What’s in that cylinder?’ His tone was casual. Minnie did not turn round. Taken aback, Bart felt a rush of embarrassment. He did not think to buy her anything: not even a small souvenir of the island. He had seen small clay jars, fat goddesses, and colourful glassware that were quite attractive, not to mention local jewellery, in filigreed precious metals and tiny gems. Turning away and looking out on the Mellieha fields, he promised himself to duck into a jeweller’s and get her something to remember the trip by. The car ahead of Bart took a sharp left. He followed it, when Minnie read a sign for the university, hoping to turn back when he reached a right fork. There was no right fork, merely a vacant block of land full of stony debris and litter. A sign among the litter forbade dumping of rubbish. It tilted sideways and swayed in a slight breeze in front of a bank of high reeds and a rubble wall to one side, which looked favourable. Minnie nodded. She seemed out of breath: like they had escaped on foot rather than in the rental car, whose condition on return to the agency was going to pose some tricky questions. ‘The car will be scratched,’ she said, with a lopsided smile. ‘What I can’t understand is why the guy tailing us doesn’t just come up to us at the hotel. Listen, Minnie – when you said …’ Bart turned towards her, twisting in the confines of the small vehicle. ‘You said they’d find you. You said they’d come to you. Those stamps – you dropped them off to someone, haven’t you? Someone here, on the island. Are these … is that station wagon …?’ Bart was irritated at his inability to form a complete sentence. He slapped his thigh in frustration. ‘Other consignments! Clients getting anxious. How do you know?’ Bart felt he sounded like Minnie did earlier, doubting all facts that were presented. ‘Did you make a phone call?’ He insisted, through clenched teeth, staring out through the windscreen at the darkening rubble. Under cover of darkness, Minnie directed Bart’s manoeuvres and he reversed out of the plot back onto the tarred surface. The drive to Mellieha was uneventful, and they heaved sighs of real relief when they were finally behind the closed door of their hotel room.